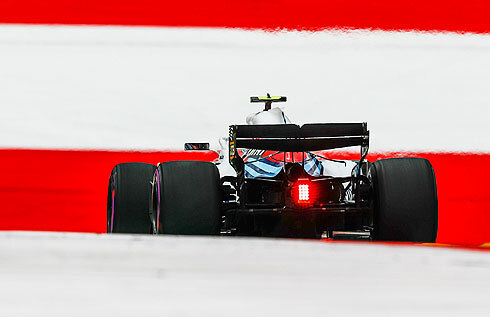 In a continuation of what is turning out to be an extremely difficult weekend for the Williams Martini team their drivers would finish the last practice session slowest in 19th and 20th. Lance Stroll would lead team-mate Sergey Sirotkin in what was a session that would see both drivers around 2 seconds off the quickest time. Qualifying certainly seems to be a session where the chances of any improvement seem to be slim. 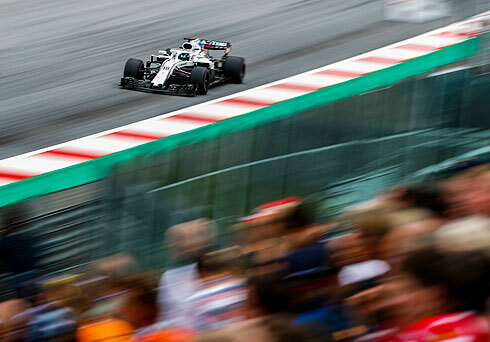 The final practice session for the 2018 Austrian GP would see a very busy track early on with the early quickest time coming from Raikkonen with a 1m:04.937, followed by Bottas and Hamilton. But Vettel would go quicker with a 1m:04.920. With over five minutes of the session completed neither Williams driver had set a time. Grosjean was now fifth running on the supersoft tyre. Behind him was Sainz, Alonso, Magnussen, Vandoorne, and Hulkenberg tenth. But only eleven drivers had set a time with twenty minutes completed. At the front Vettel would improve but Hamilton went quicker with a 1m:04.672. Apart from the Hass cars all were running on the ultrasoft tyres. Bottas was now quickest with a 1m:04.594 with Vettel moving up to second. Ricciardo was now in sixth after his first run. After their first run the Williams drivers were 18th and 20th. Ricciardo and Verstappen would improve to be fifth and sixth with Grosjean now seventh. The kerbs were again playing a role with the likes of Harley damaging his front wing endplate. Raikkonen was able to go quickest with a 1m:04.470 now followed by Bottas and Vettel. Twenty minutes remaining and Vettel would go quickest with a 1m:04.159 to be 0.3 ahead of his team-mate. Bottas would also improve to move into second behind Vettel. Vettel would improve with a 1m:04.070 setting anew lap record. Other drivers including Verstappen and Vandoorne would go over the kerbs damaging their cars. With just under fifteen minutes remaining the Williams drivers were in 19th and 20th. 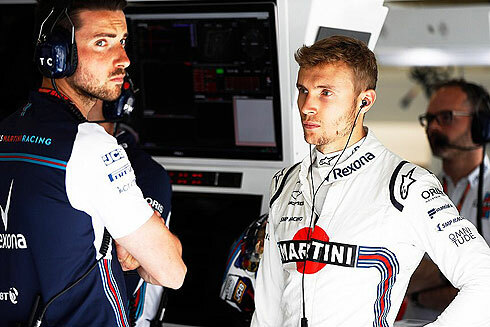 Both Williams drivers would come back out for what should be their qualifying simulations. After their runs they would remain in 19th and 20th. At the front Vettel was still quickest from Hamilton and Bottas. Raikkonen was now fourth followed now by Verstappen, Ricciardo, Grosjean, Magnussen, Sainz, and Leclerc in tenth. But Leclerc would have to stop at the side of the track with what he described as an engine problem. The top ten would remain the same with the end of the session. The drivers would complete practice starts except the Williams cars who had pitted. Still no signs of improvement from the Williams team with again their drivers slowest. Lance would follow his team-mate out also on the ultrasoft tyre. Lance had set a 1m:06.526 and was currently 16th. A 1m:06.280 would see Lance 15th. But he would drop to 18th and even with a 1m:06.189 would remain 18th. Lance would pit after a 13 lap run. While in the pits Lance would drop to 19th. With twelve minutes remaining Lance was back out on new ultrasoft tyres no doubt to complete a qualifying simulation. Lance could only find a very small improvement with a 1m:06.029 but remained 19th. Lance would pit after a ten lap run. Sergey would be the first out for Williams on a timed run using a new set of ultrasoft tyres. His first time would see him 19th and even with a improvement of 1m:06.895 he would remain in this position. With Gasly going quicker Sergey would now be 20th and would remain there as he pitted after a 12 lap run. Sergey was also back out for his qualifying simulation running on a new set of ultrasoft tyres. A 1m:06.318 from Sergey would see him remain 20th. Sergey would also complete ten laps in his final run.